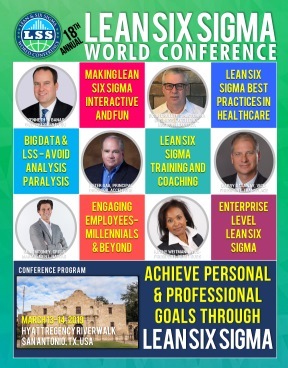 Erik Christensen is the President of Las Vegas Lean Six Sigma, which specializes in training individuals for certification as Lean Six Sigma Green Belts and Black Belts. He also provides customized employee training and consults with companies attempting to increase profits by streamlining operations. Erik Christensen was born and raised in Rutherford, New Jersey. He joined the Air Force after graduating high school. Airman Christensen began his military career as an aircraft weapons loader. He was later an Air Force recruiter in California and then commissioned as a 2nd Lieutenant finishing his career as a communications officer. Erik retired from Air Force service in 2010. After military service, Erik moved to Henderson, NV with his wife Tan, and runs Six Sigma programs for the 57th Wing at Nellis AFB, Nevada while consulting with companies. Erik is currently the president of Las Vegas Lean Six Sigma, Director of Certification for the American Association for Lean Six Sigma certification and serves as a training provider for Nevada Industry Excellence. Erik earned an Associates of Applied Science in Personnel Administration from the Community College of the Air Force in 2000, a Bachelor of Science in Information Technology from National University in 2002 and a Masters of Business Administration in Project Management from Columbia Southern University in 2010. Erik is certified as a Lean Six Sigma Black Belt and Master Black Belt.